Merida, Mexico is a modern, cosmopolitan city with a distinct identity. It's also one of the best places to immerse yourself in the Mayan cultural heritage. The regional cuisine reflects both the local indigenous culture as well as strong Caribbean, European and Middle Eastern influences. Merida's central plaza is host to weekly performances of traditional Yucatan music and dance, known as Vaqueria Regional. Dive into the clear waters of three Cuzama cenotes on this day trip by minivan from Merida. Get up close to thousands of pink flamingos and other incredible wildlife species on a boat ride through the estuary of Celestun Wildlife Refuge. While in port in Progreso, explore the Yucatan on a shore excursion to colonial Merida and the ancient Mayan city of Dzibilchaltun. Resort info: Our location places us near important financial areas of the city, as well as great leisure attractions. 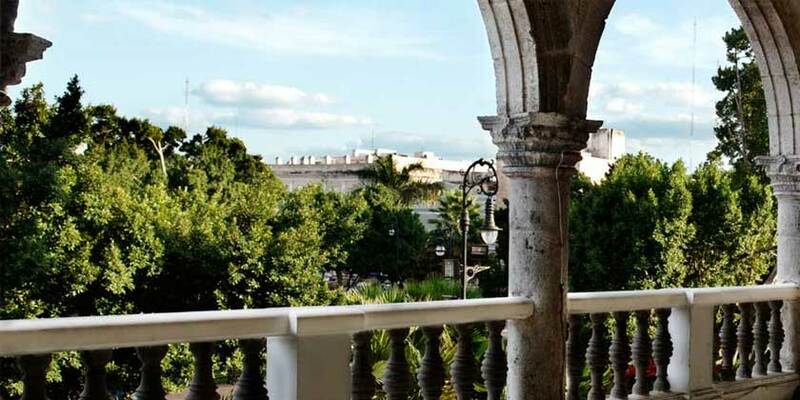 Resort info: Once a Spanish generals stately mansion, this Merida luxury hotel blends colonial elegance with every modern convenience. Resort info: Exquisite colors pop at every corner of the hacienda, making days brighter and nights more mysterious against the flickering of candles.